In the afternoon visit India Gate (War Memorial Arch), Qutub Minar (built by Qutub-ud-Din Aibek in 1199), Humayun's Tomb and drive past President's House, Parliament House, Connaught Place shopping centre and Akshardham temple (a modern Hindu Temple). Overnight stay at hotel. After breakfast drive to Mandawa. En route visit Jhunjhunu. On arrival Mandawa, our representative will assist in your check in process at the hotel. Afternoon visit Mandawa’s painted Havelis and Village, evening transfer to hotel. Overnight stay at the hotel. After breakfast drive to Nawalgarh. On arrival check-in at hotel. Nawalgarh founded in the 18th Century by Nawal Singh, it has some of the finest frescoes in the Shekhawati region. 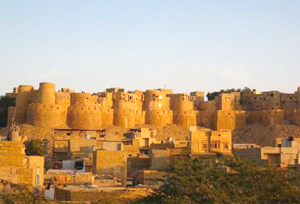 A huge fort with a colourful bazaar and numerous havelis with elaborate architecture make it an interesting destination. There are a few prominent havelis like Anandilal Poddar Haveli, Aath Haveli, Hodh Raj Patodia Haveli, etc., which are to be visited, as also the two forts. Overnight stay at hotel. After breakfast drive to Luni. On arrival check in at hotel. Afternoon Enjoy a horse safari or a jeep safari to Fort Chanwa and roam around the village. Stay overnight at hotel. After breakfast drive to Jodhpur. 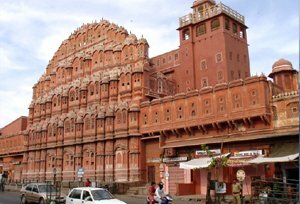 On arrival Jodhpur, our representative will assist in your check in process at hotel. Later visit Mehrangarh Fort, the Jaswant Thada and the Umaid Bhawan Palace. Evening transfer to hotel. Overnight stay at hotel. After breakfast drive to Udaipur the City of Lakes. 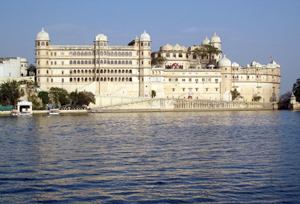 On arrival Udaipur, our representative will assist in your check in process at hotel. Overnight stay at hotel. After breakfast drive to Chittorgarh. On arrival check-in at hotel. Later visit the Fort, Padmini Palace and the Tower Victory. Evening transfer to hotel. Overnight stay at hotel. After breakfast drive to Pushkar. En-route visit the Eklingji temple and the Nagda temple (Jain group of temples). On arrival Pushkar, our representative will assist in your check in process at hotel. In the afternoon visit Ajmer (Tomb of Sufi Saint, Hazrat Khwaja Moinuddin Hasan Chishti). Evening transfer to hotel. Overnight stay at hotel. After breakfast drive to Samode. On arrival check-in at hotel. The palace retains its erstwhile ambience and charm. There are numerous memorabilia of the bygone years. Overnight stay at hotel. After breakfast visit Samode village and enjoy the beauty in & around, later drive to Jaipur. On arrival Jaipur, our representative will assist in your check in process at hotel. Evening free for shopping around the local market. Overnight stay at hotel. In the morning visit the Amber Fort ascend fort on elephant back. Amber was the ancient capital of Kachhawaha dynasty for long time ago. It was moved to newly created Jaipur. 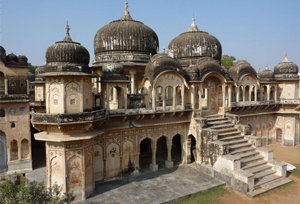 Visit the Sheesh Mahal (Hall of victory) which is a hall glittering with mirrors. After breakfast drive to Agra, en route stop at Fatehpur Sikri. Fatehpur Sikri was built by Akbar, the Mughal emperor between 1571 and 1585. 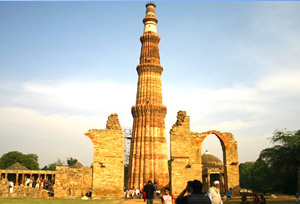 It is one of the finest examples of Mughal architectural splendour. It was constructed mainly as a tribute to the great Sufi saint Shaikh Salim Chishti who had blessed Akbar with a son. Though the city is in ruins, it is a must visit place for those who visit Agra. On arrival Agra, our representative will assist in your check in process at hotel. Afternoon visit the Agra Fort which has the Pearl Mosque, Diwan-e-am (the hall of public audience) and Diwan-e-Khas (the hall of private audience). Evening free for shopping the local market. Overnight stay at hotel. After breakfast drive back to Delhi, En route visit Sikandra, the Akbar’s tomb. On arrival at Delhi transfer to airport for your onward destination.